A daring contemporary audio theatre work exploring older people’s reflections on ageing and the transition into supported care will feature in the upcoming Melbourne experimental arts festival, Next Wave in May. 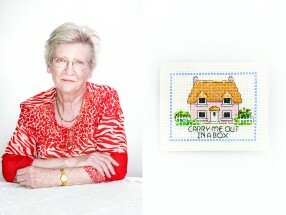 The artwork titled HOME by emerging artist Brienna Macnish, 25, invites members of the public to step inside the home and private life of Marian, a 70-year-old grandmother who lives alone in Kensington in Melbourne’s northwest following the death of her husband. Marian featured in HOME as part the Next Wave arts Festival. Arriving at the front door with a key to the stranger’s home, the audience is taken on a very personal journey through a lifetime of possessions and memories while listening to an intimate audio story as told by Marian as she reflects on her life’s story and contemplates her future. Ms Macnish said the work aims to begin a conversation about the experience of ageing in contemporary Australia and the divergent feelings of loss, isolation, uncertainty and optimism. 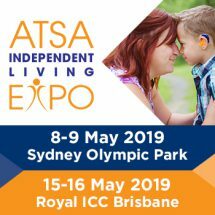 She said she was inspired to develop the creative project after her grandparents’ own experience of leaving their home and moving into residential aged care. “For me, there was a real lack of conversation and discussion within my family about what it meant to have left their house behind – what it meant for us to be packing up all of their possessions and putting them into storage,” she said. 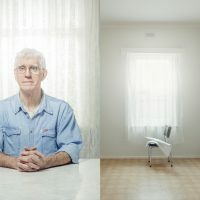 As part of the project, Macnish spent 18 months interviewing a dozen older Australians about their relationship to their home and their thoughts and plans for the future. 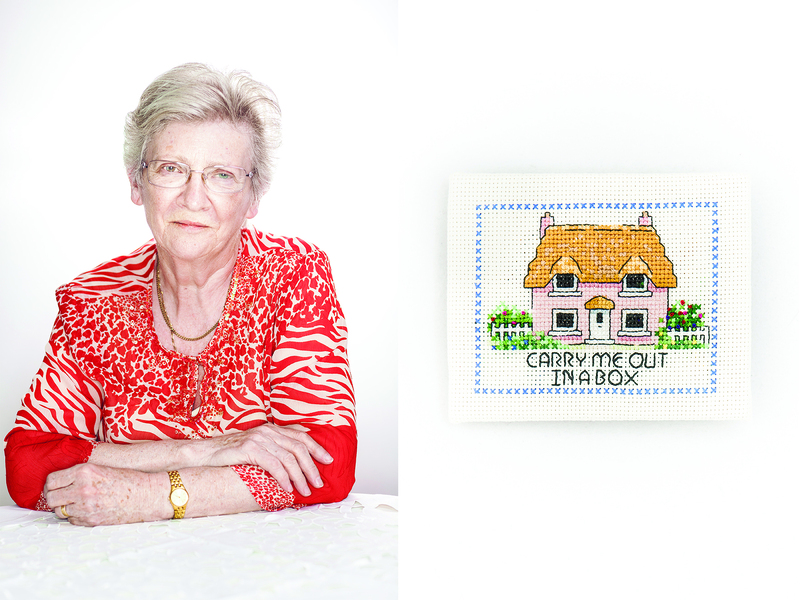 Some of the powerful sentiments repeated throughout the interviews are encapsulated in cross stitch artworks produced by Macnish and Marian, and include quotes such as “our home became a burden”, “carry me out in a box” or “I thought I’d go first”. 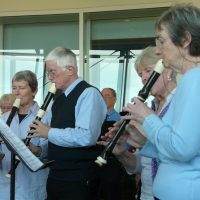 HOME, an audio theatre work explores stories of ageing. Ms Macnish said she hopes the artwork will create a space not only for personal reflection and discussion, but also empathy. Through this unique audio theatre experience, the audience is asked to step inside the lives of others and to contemplate their stories. “I’m really interested in creating spaces to experience empathy in my work and I’m hoping that’s what this work will do,” said Ms Macnish. 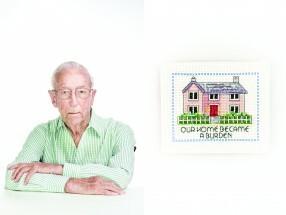 The work also explores ideas of physical space and isolation and being the last one living in the family home. 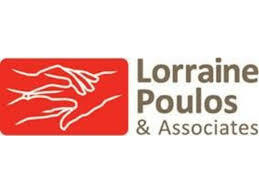 “I began searching for stories about the people left behind, people living alone in houses that once sheltered families. 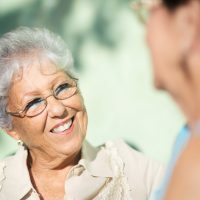 What does it mean for older people to reconsider their future and whether they will be able to maintain their homes and their independence?” she said. The project was commissioned by the Next Wave Festival as part of their kickstart program and runs from May 1-11. For more information or tickets see www.stepintomyhome.com or call Next Wave Festival on (03) 9329 9422. Home is a very symbolic word – it isn’t just a physical mindset, it’s a comfort mindset. Psychologists say that for many people, their home is part of their self-definition. That is where our true motivation lays; when we get involve in taking care of and decorating our houses, we perceive them as a part of our public face. A culture dimension is also a big part of the “home” concept. In the USA, home is something that you’ve worked very hard for, a place defined by schools and neighborhood, the place where one feels good here and now. In Asian cultures, home is less defined as a place, it is who you are. Europeans also much self-identify with their home, as a place where they were born and where their ancestors lived.